Do you have your kids prepared for back-to-school? Whether they're going to elementary, middle school, high school or college. Don't wait until the last minute to purchase your kids supplies for back-to-school. Kids want to dress in style. Parents get their kids what they want. You need to shop for clothes four months before school starts. That way you won't be short in cash to purchase school supplies. There are deals you don't want to miss. People tend to buy six to eight of the same items. School supplies run out fast. You can visit Staples website to find out about the product descriptions in the links below. Oh my goodness! That Jansport backpack is kind of amazing. With the sloth AND a rainbow! I only wore JAnsport backpacks when I was younger. They were all the rage. 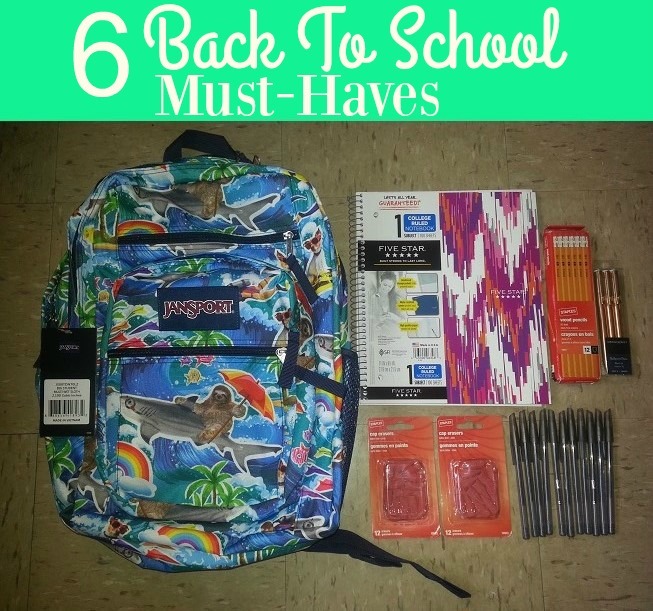 These items are definitely helpful to starting the school year off on the right foot! I love buying school supplies! There is just something so exciting about the Back to School Season. Jansport is my favorite backpack brand. They're so durable and priced just right. And Five Star notebooks were always my favorite when I was going to school. I love this time of year and I am pretty sure I like back to school shoppin gmore than my kids do! HA! THese are all items that were on our must buy list this year too. Great list. Thanks!